New Faces at Delvinia. Say hello to Roz. We’re very excited to announce that Rosalina (Roz) Lin-Allen has joined the Delvinia Interactive team as Director, Client Strategy. 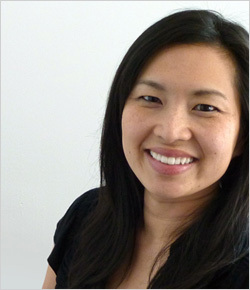 Roz will work closely with the team building our roster of interactive clients. Roz comes to Delvinia with over 14 years of interactive experience working with some of the biggest brands in Canada, e.g. : Bell Canada, Sony Canada, Ontario Lottery and Gaming Corporation, Vincor and 3M. Please join us in welcoming Roz to the Delvinia team.